THURSDAY, Feb. 28, 2019 -- Professional soccer players may be vulnerable to amyotrophic lateral sclerosis (ALS), a new study suggests. The Italian researchers also found that soccer players may develop the neurodegenerative disease at a much younger age than people in the general population. ALS, also known as Lou Gehrig's disease, affects nerve cells that control voluntary muscle movement such as walking or talking. There is no cure for the disease, which eventually leads to death, most often from respiratory failure. "There have been several deaths among Italian professional soccer players from ALS, and previous ALS research has found repeated head injuries may be a risk factor for the disease, so our study sought to determine if professional soccer players are more likely to get ALS," said study author Dr. Ettore Beghi. He's from the Mario Negri Institute for Pharmacological Research in Milan. The scientists looked at nearly 25,000 men who played professional soccer in Italy between 1959 and 2000. The research found that 33 soccer players developed ALS, an average of 3.2 cases per 100,000 people every year. The rate of ALS in the general population in Italy was an average of 1.7 cases per 100,000 people every year. 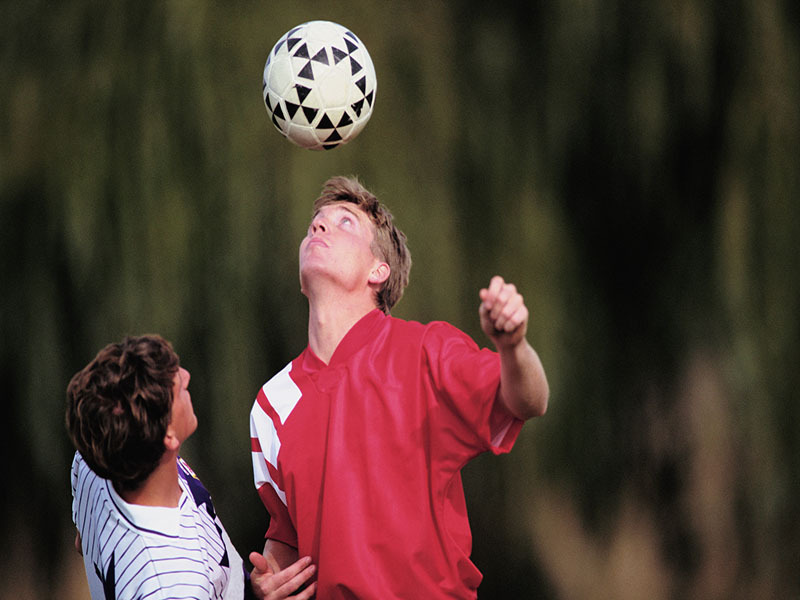 That means that soccer players were nearly twice as likely to develop ALS. Among soccer players aged 45 and younger, the rate of ALS was 4.7 times higher than for people in the general population. The researchers also found that the average age of developing ALS among soccer players was 43, compared to 63 in the general population. The study is to be presented at the American Academy of Neurology's annual meeting, in Philadelphia, being held May 4-10. Such research is considered preliminary until published in a peer-reviewed journal. "It is important to note that repeated traumatic events, heavy physical exercise and substance use could also be factors in the increased ALS risk among soccer players," Beghi said in a meeting news release. "In addition, genetics may play a role." Since this study included only professional players, the results cannot be applied to nonprofessional soccer players, the researchers noted. ALS is a rare disease and the study results should not be construed to suggest that people should stop playing soccer or not start the sport, Beghi added.